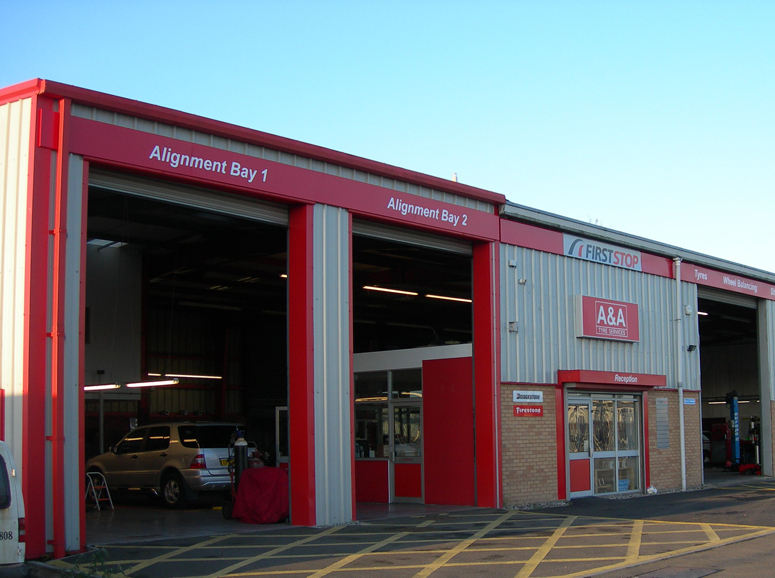 Welcome to A& A Tyre Services, South Wales leading fast fit service centre. Established in 1968 by Ron Austin down at Tyndall Street Cardiff, we quickly earned a reputation of honesty, friendly advice and proffesional service, in 1974 we moved to a custom built service centre at Whittle Road Leckwith Ind Est Cardiff, where our dedicated team of sales and service staff can offer you over 100 years combined experience. We pride ourselves to stay at the top of our game by buying the latest state of art tyre fitting, wheel balancing and 4 wheel alignment equipment. Our main reception offers you comfort, drinks, daily newspapers and television, we also appreciate that service centres are not always a lady friendly enviroment but here at A&A Tyre services we go out of our way to make you the customer feel at ease that's why we’ve been awarded centre of excellence from Bridgestone Firestone UK for outstanding customer service. Here at A&A Tyre services we understand that time is a very important factor in todays busy schedules, so whether your at work, playing golf or enjoying a days shopping we can take out the hassle by offering a collection and drop off service.